How will digital manufacturing impact on IT outsourcing? IT in manufacturing is changing fast as companies introduce technologies that reach beyond the factory boundary in line with trends such as Industrie 4.0 and the Industrial Internet of Things (IIoT). At the same time executives are looking to make organisational changes that place the customer at the centre of an extended supply chain in which their manufacturing plant is just one, albeit important element. The complexity of information technology in this context is increasing while skills remain scarce. As experienced IT professionals leave the industry and retire it becomes even more difficult to deliver new technology projects that impact deeply on the organisation. Traditionally the CIO would look to outsourcing IT to specialised providers who provide the necessary skills and delivery capabilities. However, are these partners adequately prepared for the next generation of technology in manufacturing? Do they have the skills and vendor relationships necessary for success? Do the old models of outsourcing still apply when much of the digital transformation programme must be driven deeply from within the manufacturing business itself, and where executives will need to be much more hands-on in matters digital? 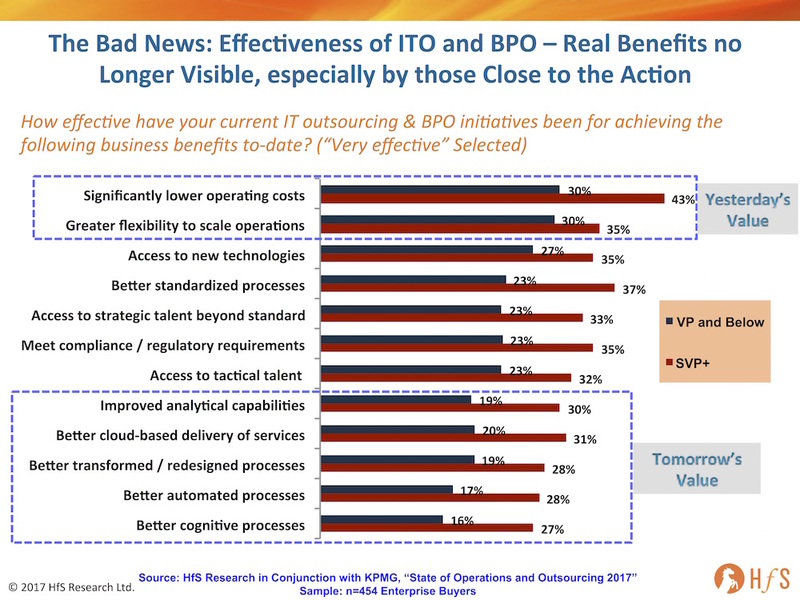 No longer will it be adequate for the CIO to have a single outsourced contract for all IT. The future requires a combination of multi-sourced and in-house digital capability where functional executives like marketing, manufacturing, supply chain etc. each take ownership and drive relevant digital business initiatives themselves. The traditional CIO role might in time morph into a Chief Digital Officer, but this role change alone still does not address the need for a comprehensive overhaul of the way IT is managed and the increased role of senior executives in this process. In the past, IT outsourcing has tended to swing like a pendulum between in-house IT and outsourced IT, and back. Reversing an outsourcing decision is very difficult, but does happen when the business changes, the vendors do not perform or the initial objectives of the contract are no longer aligned to the new business priorities. On paper, outsourcing promises some quick wins where complex and difficult areas of technology can be handed over to a specialised service provider allowing the company to focus on the core manufacturing business. But is it as good in practice? • System integration: system integration projects that involve several different proprietary technologies are complex and need specialised skills. • Vendor management/aggregation: the concept of ‘one throat to choke’ appeals to the CIO to manage the interfaces between multiple technology vendors. • Application development and support: software development requires specialised skills with a short half-life. Software companies are usually best positioned to attract and retain the best application development and support skills. • Application implementation projects: certain complex projects like a new ERP implementation require experience with the application. These projects often have some unique characteristics which require specialised project management expertise (such as Agile methodologies), and require a joint project management function that include both the business experts and the outsourced technical project team. • Specialised consulting: often short-term consulting interventions are necessary to address specialised technology related topics such as system security. On other occasions the business needs to drive significant changes to business processes and organisation, requiring independent consultants. These assignments are usually temporary in nature and are expensive. Often the business is not left with the in-house skills at the end of the project to sustain the change and a retainer with the consultant is necessary going forward. • Infrastructure support: traditional IT infrastructure such as networks and communication systems are rapidly becoming commoditised, but there is still a need for specialised expertise to design, implement and support these systems in industrial environments. • End user support: IT services such as help desk and desktop support are often outsourced to a provider who can leverage economies of scale to offer this service more cost effectively than you can in-house. As a manufacturing company, you cannot of course abdicate your deep understanding of what is changing in your core industry (manufacturing). You need to make sure the outsourced partner remains aligned with your priorities through regular reviews that ideally involve the whole executive team. Remember that outsourcing companies play in a different industry and have a different business model to you – this will create some tension alongside your own long-term strategic objectives. During the reviews, remember that the outsourcing provider is also faced with skills challenges. Skills in areas such as Industrie 4, IIoT and SaaS are in short supply industry wide, and no-one is immune to this problem. Challenge your provider to prove they are attracting the best talent in the industry to serve your business. It is incorrect to assume that manufacturing companies outsource IT to save costs. There may indeed be savings in the short term, but ultimately the outsourced partner is there to make a profit from you. It may still be worth paying a premium to be able to focus on your core business functions, but then be prepared to increase the budget for this. 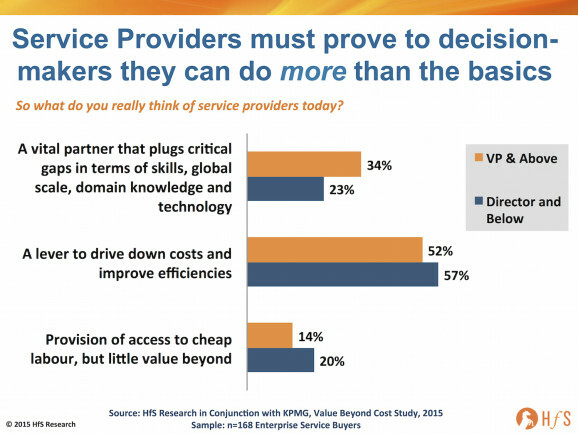 It helps not to look at IT services as a cost, but rather to drive added value at every interaction. The dynamics of the technology environment make it very difficult for manufacturing companies to develop and sustain in-house IT capacity and skills. At the same time, owing to cost cutting over an extended period, manufacturing budgets are stretched with a remarkable percentage of IT spend allocated to ‘keeping the lights’ on, and relatively little funding available for new initiatives. The reality is that this situation is at odds with the need for strategic digital transformation programmes. Developing deep technical capabilities in-house can be a long and expensive process – while hard skills can be acquired through training, many of the softer skills only come through time and experience; as well as exposure to many projects and situations across the industry. Over time you grow dependent on the outsourced partner, making it very difficult to end the relationship without damaging your business. Key people supporting applications and technologies are often employed by your partner and the services contract will normally prevent you from employing these people directly and ending the relationship. The success of any outsourced relationship strongly depends on good leadership, both in the client company and the outsourced partner. A long-term strategic view of the relationship is important to overcome the inevitable obstacles along the way. Many digital technology initiatives will take 3-5 years to implement. The key will be flexibility, relationships that are based on give and take develop over time and require a deeper level of understanding that this is not a zero-sum game. Offering the outsourced partner meaningful incentives related to your success is worth considering. The question of leadership goes beyond you creating a position for Chief Information or Chief Digital officer – ultimately managing IT in manufacturing also boils down to good business acumen which should be present in every member of your executive team. Source: instrumentation.co.za -How will digital manufacturing impact on IT outsourcing? But that could change as robotic process automation (RPA) takes hold. The automation itself will begin to chip away at the offshore competitive advantage of labor arbitrage. But more importantly, argues Marcos Jimenez, CEO of Softtek North America, it will highlight areas in which nearshore providers excel: proximity, agility, and flexibility. A nearly 20-year veteran of the Mexico-headquartered company, Jimenez has doubled the profitability of Softtek’s U.S. and Canadian business since taking it over in 2011. CIO.com talked to Jimenez about the potential impact of RPA on the global IT and business process outsourcing market, new demands from customers for outcome-based engagements, the role of digital labor management in the future of IT services, and best practices for RPA success. CIO.com: Traditionally, what have been the key criteria for customers choosing between offshore and nearshore models? Marcos Jimenez, CEO, Softtek North America: One traditional advantage of nearshore has been flexibility in accommodating requests outside the specific parameters of contractual obligations and statements of work. Let’s say, for example, that a customer asks a member of an application development coding team to collaborate in real time to meet a deadline. It’s typically easier for a nearshore provider to accommodate that request because we are working concurrently with clients and matching their work schedule—including the same holidays. Under the offshore model, meanwhile, the most experienced people work on different time schedules, since senior people in countries like India typically don’t want to work night shifts. So, when a U.S.-based client has an urgent request they need to either rely on a less experienced person or they need to wait. So under the offshore model, it’s more difficult to go outside the lines of defined roles and processes. And that’s a problem as today’s fast-paced digital world demands agility. There’s also the obvious geographic advantage of proximity. For U.S.-based customers who have to regularly visit service provider operations, traveling to Mexico vs. Mumbai becomes a lot more convenient and productive. In terms of staffing, the dramatic growth of offshoring has over the years contributed to high turnover rates, as staff constantly seek new opportunities. Nearshore providers tend to have lower turnover and more stability. All of that said, by virtue of their ability to effectively leverage labor arbitrage, offshoring has clearly had the advantage when it comes to price. In that arena, the nearshore model has historically not been able to compete. And, of course, for many customers in many situations, price is the key factor in making a sourcing decision. CIO.com: How have you seen that dynamic begin to shift? Jimenez: At Softtek, we’ve been able to leverage RPA and other types of automation to shrink the traditional price gap between offshore and nearshore. In the last year, we’re also seeing more interest in nearshore based on our managed services offerings, with fixed price annual cost rather than just labor arbitrage and rate per full time equivalent (FTE). Our clients are asking us for year-over-year annual cost or efficiency improvements with a strong focus on automation. CIO.com: Can you share an example of what might have tipped the scales in favor of the nearshore approach for one of your customers? Jimenez: Many of our customers are looking to agile development methodologies to drive innovation quickly and in a cost-effective manner. Agile requires close collaboration between different teams. So you can have a U.S.-based team at a client site working with remote teams in Monterrey and Latin America, which makes collaboration easier. If the teams are in the U.S., India and Europe, that works well for the “follow the sun” model where you have teams handing off development work at the end of each day, but it tends to be less effective for agile. One specific example is a major U.S. airline customer of ours. After working for more than 10 years with large Indian providers, this customer consolidated all of their application services with Softtek. The airline had more than 500 FTEs in a labor arbitrage model and faced significant challenges accelerating response time and innovation. In addition to offering a competitive price, Softtek transformed the application management model from labor arbitrage to SLA-based, digitized governance, and lean sigma to drive innovation and continuous improvement. CIO.com: It’s clear how automation could erode the labor cost advantage of offshore providers. 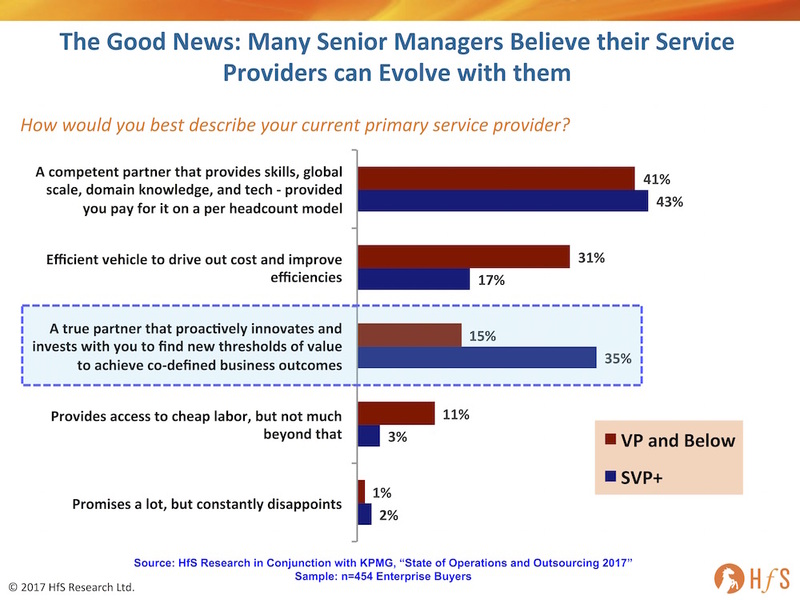 But how about the role of IT service provider in helping customers implement RPA internally? Jimenez: The provider’s role is to work with the customer to assess the automation opportunity, define the processes and functions that will be automated, and implement the automation software. The actual software can be either a third party’s, such as Blue Prism or IPsoft, or a home-grown solution. The provider also typically oversees the transition and change process and then manages the new environment on an ongoing basis. The extent of the provider’s involvement can vary depending on the situation. In some cases, the tool developer will be directly involved in the implementation, while in others the tool will be licensed to the service provider. Indeed, as the market matures, the major automation tool providers are figuring out how they want to position themselves in terms of doing implementation work vs. simply licensing. That will certainly play a role in the competitive landscape going forward. CIO.com: What threats and opportunities does RPA pose for offshore and nearshore providers? Jimenez: At a high level the threats and opportunities are the same for offshore and nearshore providers. The basic threat is that RPA undermines established models of service delivery, while the basic opportunity lies in delivering more value to customers more efficiently. For large offshore providers, the most pressing immediate threat is the cannibalization of their labor arbitrage-based BPO businesses. This threat will continue to extend to their IT services business. There’s also the issue of how to redefine their business models. There are lots of headlines about the large India heritage providers scaling back on hiring and how, rather than adding 10,000 new people, they are looking at cutting staff or redeploying large numbers of staff. There is a big opportunity here for second tier traditional offshore providers—as well as for nearshore players—to challenge the tier one with a more advanced portfolio of services that relies significantly on automation. Why job prospects in IT outsourcing will How do British IT companies use outsourcing to Europe to expand their skills pool? Nowadays, every business owner has probably already tried outsourcing, or at least considered it as an option. Be it IT, accounting, or customer support, there are many ways to apply this practice to almost any business. Aside from that, how safe is outsourcing and why use it after all? Why look for workers overseas, when you can hire someone next door and have them work in your office? 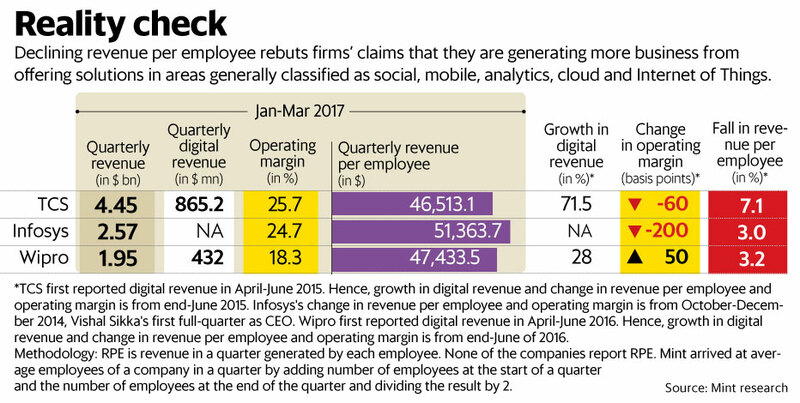 Despite some open criticism, India remains one of the top outsourcing destinations. This is especially true for UK businesses, due to the cultural ties between the two countries. Yet, that could be changing soon. Nearshore outsourcing locations, including Eastern Europe, are winning a solid market share offering a number of competitive advantages. Why UK businesses prefer outsourcing to Europe over India? Over the last several years, Eastern Europe has been steadily making a name as a global outsourcing destination. Currently, five out of the top 20 countries listed by AT Kearney’s 2016 Global Services Location Index are located in the region. Among the most attractive countries for outsourcing in Eastern Europe are Poland, Bulgaria, and Romania. Judging by our experience as an outsourcing company, Ukraine remains the most financially attractive outsourcing destination in Eastern Europe. The IT industry in the region is quite mature. A huge number of global tech companies already have R&D centres in Eastern Europe, including IBM, Google, Samsung Electronics, Adobe, Oracle, Microsoft, and Accenture. When talking about the UK companies, they tend to choose nearshoring to Eastern Europe because of its geographical proximity, minimal time difference, and cultural affinity. However, some companies are still hesitant when it comes to outsourcing. ● Eastern Europe, including Ukraine, is geographically distant. It is difficult finding a reliable provider half-way across the globe, especially when it comes to such a vital business process as software development. Solution: As mentioned above, outsourcing is a common business practice these days, used by large corporations to small companies worldwide. Regardless of your location, you can tap into the global talent pool and choose the best suited mix of skills and expertise for your project. To find a reliable provider, you can study their portfolio, or use websites like clutch.co or Appfutura.com to see honest customer reviews and feedback. With only a 2-3 hour flight from most Western European countries, including the UK, travelling to Eastern European countries is easy and convenient. Personally meeting with the development team to discuss all questions related to the project is important to most clients, and is considered by most to be an essential aspect to the development of a strong customer/client relationship. Geographical proximity also means an insignificant time difference. For example, the Ukrainian time zone is GMT+2, which was very convenient for our clients from the UK. You will always be in sync with your team, which is only 2 hours ahead. When you start your day at 9 am, your team will already be hard at work. ● Outsourcing is too troublesome. Why look for developers overseas if it is possible to find someone local to do the job? Solution: Regardless of the company’s location, prior to starting any business relationship you will need to do some background research online. Finding the references and portfolio of a Ukrainian company takes as much time as searching for the corresponding info about your local provider. On the other hand, when choosing local providers, you are limited in the skills & experience that you can source on-site. With outsourcing you are not bound to any particular country, so you can easily find the specialists of any level or experience, even in a very specific knowledge domain. ● I’m afraid that the quality of the product will be substandard. I’ve heard about Indian developers. The software will have bugs and performance issues, the code won’t be documented and the company will steal and re-sell my source code. They might even vanish halfway through the project and I wouldn’t even be able to file for any damages. Solution: All these questions denote only one critical issue – trust. Indeed, it’s hard to rely on a company/team that you haven’t even met in person. However, outsourcing wouldn’t have become so popular if these problems were impossible to solve. The quality of software is ensured with the help of solid QA processes and proper coding standards, which include code documentation. You can request a code sample or review the company’s previous works to assess their quality. Again, honest clients’ feedback or personal references can tell you all you need to know about the company and their work. If you are able to contact the company’s previous or current customers, this means that you won’t be their first or their only client. Thus, they won’t disappear in the process or ignore your calls. As for the IP rights and code ownership, we always recommend signing a standard Non-Disclosure Agreement that will help you protect your property. Moreover, no reputable company will put its good name at stake by trying to make money out of your property rights. Transparency is a vital element to the success of an outsourcing project. Talking to your team regularly and monitoring their progress is achievable through the use of modern communication tools, tracking systems, and cloud-based collaboration platforms. That is why it doesn’t matter where your team is located, as long as all the processes are properly set up. While there is no silver bullet or one size fits all approach to outsourcing software development, choosing the right partner is a huge step toward success. To make sure your provider can be trusted, ask the right questions when hiring a software development company. While experience and references are extremely important, you should also make clear of such routine issues as testing, support, and communication. Transparency and professionalism should be fundamental for any provider. Having a reliable and skilled team with transparent internal processes on board, even if they are working from another country, is the key to success. Source: itprotal-How do British IT companies use outsourcing to Europe to expand their skills pool? How outsourcing companies are satisfying the needs of FinTechs who are eager to enhance their digital strategy and capabilities. The amount of FinTech companies outsourcing, has risen exponentially over the last year, and this trend has largely been due to financial startups realizing that they now have the ability, to have their entire technology operation outsourced. The big motivation factor for FinTechs is that by them outsourcing will enable them to be competitive within the global banking industry. This flexibility to outsource stems from most of them not having a fixed place of operation, and rather they offer their financial products and services online to clients worldwide. The consensus amongst FinTechs who have already used outsourcing companies is a high level of satisfaction due to the minimization of their costs, but also in receiving increases in the speed and quality of their processes. The major driver for the rapid growth of outsourcing companies recently has been because of big data analytics. This is due to financial startups simply not having the capability nor resources to analyze big data inhouse. Thus, many have decided to outsource this process to those providers which have the analytical tools and software to deliver their required analysis. The reduction in costs due to no longer a need for various processes to be maintained inhouse. Once having outsourced their processes, this will then enable FinTechs to focus on their core products and services. Using an outsourcing company often solves capability issues, and this then contributing to major enhancements in customer service for clients. Bringing onboard an outsourcing company, will often add intellectual capital to FinTechs which will be critical to helping them with the adaptive and changing needs of the industry. I thus firmly believe that going it alone in this highly competitive industry without use of an outsourcing company could prove fatal for many overconfident FinTechs just starting out. The motivation factors for using outsourcing companies in 2017 are compelling, especially since this will contribute to FinTech companies competitive advantage. This will ensure that they can continue to adapt, evolve, and succeed within a financial services industry that is constantly being disrupted by innovative technology.